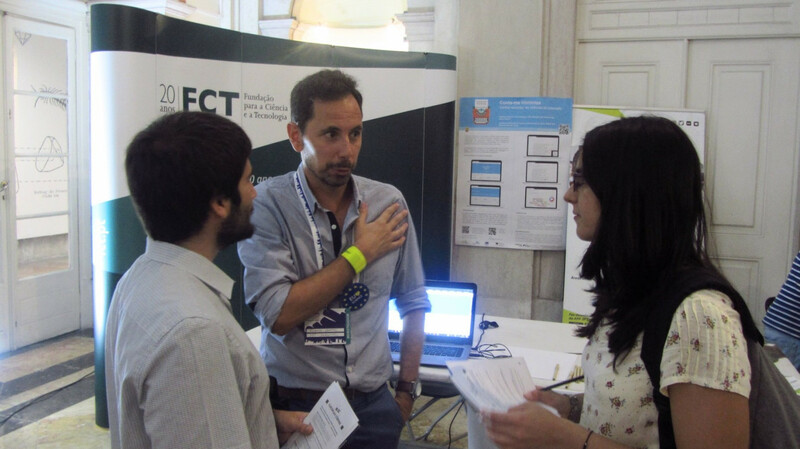 “Conta-me Histórias”, project developed by INESC TEC’s Laboratory of Artificial Intelligence and Decision Support (LIAAD) and winner of the Arquivo.pt Prize 2018, was presented by the researcher of LIAAD Ricardo Campos at the National Museum of Natural History and Science of the University of Lisbon. The project allows the users to automatically create a temporal summarisation of the news preserved by Arquivo.pt, a platform that collects and stores information published on the Internet. 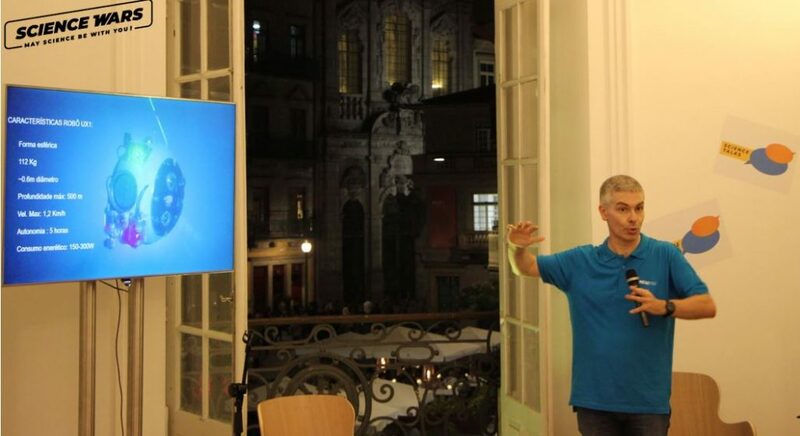 In Porto, the European Researchers' Night was present at Palácio das Artes. Alfredo Martins, researcher of INESC TEC’s Centre for Robotics and Autonomous Systems (CRAS) participated in the Science Talks, where he presented the Unexmin project. The robot, which explores flooded mines in an autonomous way, arose from a joint project of several European projects . CRAS was responsible for the sensor data fusion, localisation and navigation system of the robot and the development of laser systems. At the same time, Unexmin was also presented in the activities of the European Researchers' Night that took place in Miskolc, Hungary. The European Researchers' Night, integrated in the Marie (Skłodowska) Curie Actions, has been organised since 2005 and aims to celebrate science and bring it to the citizens. The researchers mentioned are associated with INESC TEC, the Polytechnic Institute of Tomar and P.Porto-ISEP.